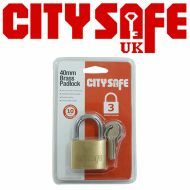 Padlocks are easily used to securely lock both private and public lockers, storage units and boxes containing important items, and are the perfect security accessory for any trade counter, key cutting shop or hardware store. 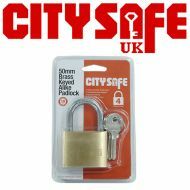 CitySafe UK offers an extensive range of high quality Combi Padlocks from Squire, which includes iron, brass, long shackle, combination and stainless steel keyed alike padlocks. 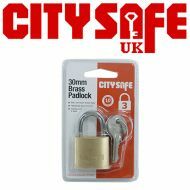 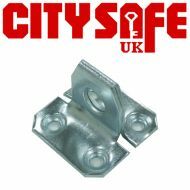 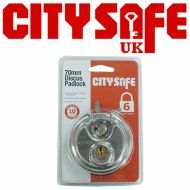 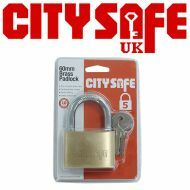 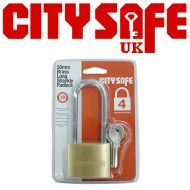 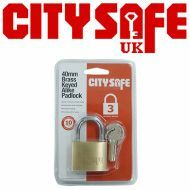 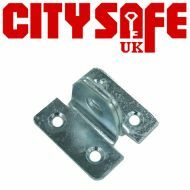 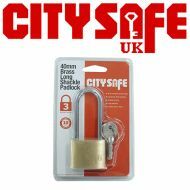 We also stock our own range of CitySafe Padlocks which are made from either a tough brass or stainless steel body and highly resistant to corrosion. We also stock key safes, security chains and hasps and staples.